Holidays in St Lucia will transport you to a world of dramatic landscapes consisting of vibrant green rainforests, azure oceans and waterfalls surrounded by botanical gardens – the perfect destination for a romantic escape or family holiday. This exotic island is a melting pot of British, French and African influence, resulting in a unique culture that boasts colonial style buildings, a warm, laid back atmosphere and exquisite cuisine. Some of the best coral reefs in the Caribbean lie off St Lucia’s coast; the Anse Chastanet reef is home to over 150 species of fish, including parrotfish and seahorses, so grab your snorkel mask and explore. If you prefer to stay on dry land, head to the crescent shaped strip of golden sand at Labrelotte Bay, which calls for nothing but sun soaked relaxation. Visit Soufrière to find yourself surrounded by some of the best natural scenery on the island. Indulge in natural hot springs and explore shimmering waterfalls, all while wrapped in a staggering volcanic landscape. Alternatively, Castries, St Lucia’s historic capital, is the perfect destination to indulge in luxury shopping and fine dining. The harbour is the main attraction, where you’ll be mesmerised by the magnificent cruise ships that pepper the shore. St Lucia boasts world class island relaxation, accompanied by charming harbours, inspiring colonial architecture and upmarket amenities. The island is dotted with luxury hotels, bars and restaurants, so you’re able to experience the Caribbean at its best. Spend your days languidly enjoying the ocean views, exploring the coral reefs or indulging in designer shopping, fine dining and beachside bars. 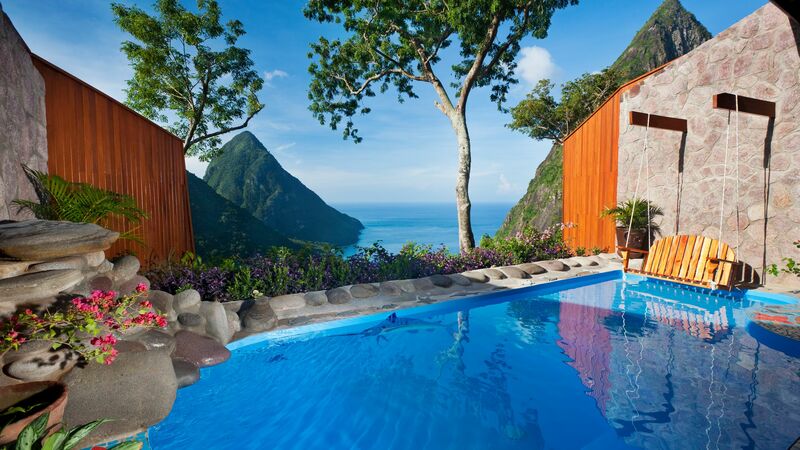 If you’re looking for a romantic getaway, the adults only Ladera Resort offers awe inspiring views of the Pitons and treats its guests to their own private pool and award winning dining experiences. 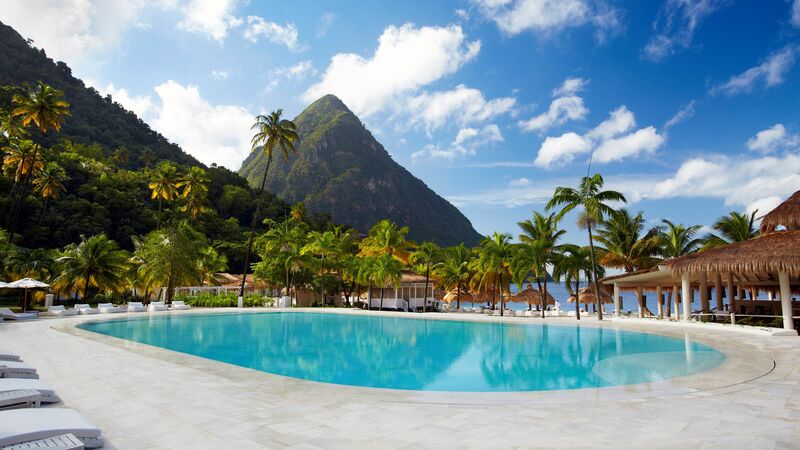 Alternatively, Sugar Beach A Viceroy Resort sits right on the beach within the Piton Valley, with rooms providing world class mountain or ocean views. This hotel is also a PADI certified dive centre, and is the perfect choice for those wanting to explore the island’s coral reefs. Labrelotte Bay is home to one of the longest sandy beaches on the island. It arcs along the north-west coast, where palm-shaded bars, restaurants and hotels speckle the hills behind. Soufrière was once the French capital of St Lucia. Its boat-lined beach and tropical houses are the launch pad for a scenic selection of waterfalls, hot springs and mountain trails. The Piton Mountains are the symbol of St Lucia, rising up over 750 metres above the Caribbean Sea. These twin peaks are technically volcanic plugs – and well worth the calf-burning hike for the spectacular view of the island. Petit Piton is a difficult scramble, thanks to the steepness of the paths, so we recommend hopping on a guided climb of Gros Piton. A local guide will personalise the walk to your ability, so you can make a slow day of it or race up to the top before lunchtime. Don’t worry if you’re not up for a hike, though – you can see the Pitons up close on a more leisurely boat ride. If Castries is the capital of St Lucia, then Soufrière is its heart and soul. The town is the gateway to the island in many ways – it’s close to the best beaches and it’s a jump-off point for natural attractions like the Pitons and Toraille Waterfall. On top of that, its lemon and turquoise houses and vibrant dining scene charm all on their own. If it's the beach you’re after, try Anse Chastanet. This curve of sand squeezes between forested headlands and the mountains, creating sheltered, crystal-clear waters made for snorkelling. St Lucia’s turquoise waters are a scuba diver’s dream. The best diving sites include Anse Chastanet, Anse Le Raye, and the Coral Gardens at the base of the Gros Piton mountain, where the crystal-clear waters give fantastic visibility for spotting the underwater life. Colourful healthy coral reefs reel in over 150 species of fish and sea mammals, including parrot fish, pufferfish, seahorses, octopus and turtles. There are shipwrecks, too. The cargo ship Lesleen M is great for newer divers and just a 20-minute boat journey from the shore. Flight time from the UK to St Lucia is around 8 hours 30 minutes. 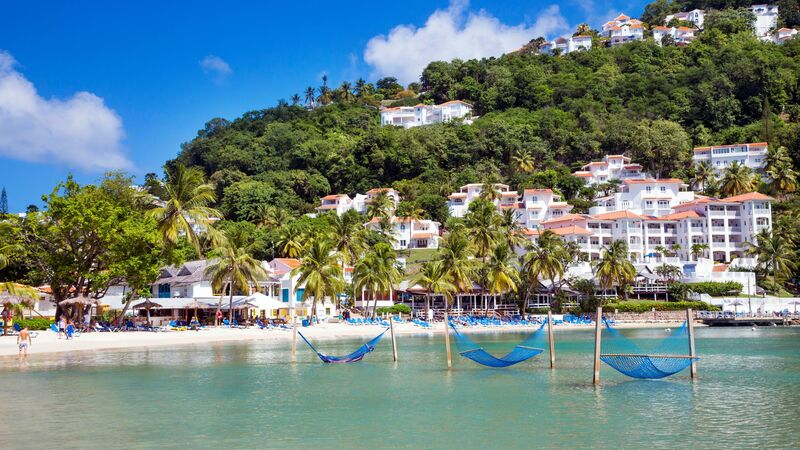 St Lucia is hot all year round, although the summer months coincide with hurricane season, and the heaviest rainfall is between June and November. Good news if you fancy some winter sun – the driest months are between December and March, when the average temperature is a balmy 28°C. 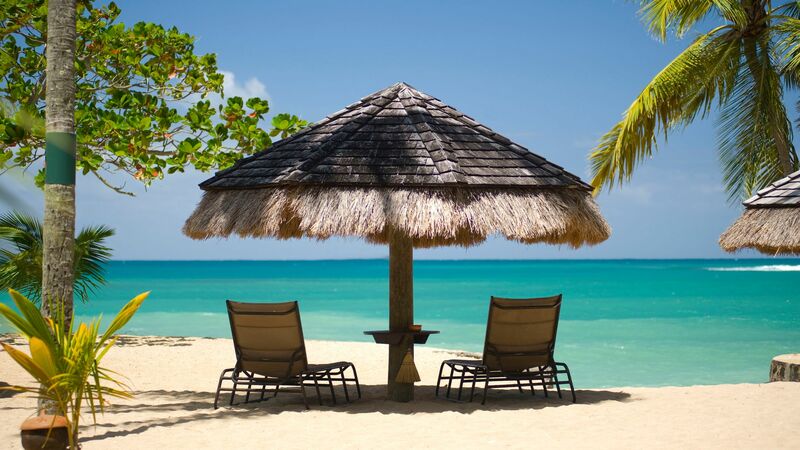 Currently visas are not required for UK citizens travelling to St Lucia. A 10% gratuity charge will typically be added to your hotel and restaurant bills in St Lucia, so check carefully. Any additional tipping is at your discretion, although 10% is a good guide. A dollar or two would be appreciated by maids, porters and drivers. The official language of St Lucia is English. When travelling to St Lucia, the following immunisations are recommended: hepatitis A, typhoid and polio. All routine immunisations should be up to date. For full details, please contact your GP. St Lucia’s Creole cuisine is a succulent recipe of just-caught seafood and fresh, local ingredients like coconuts, mangoes, papayas and the bananas the island is famous for. Red snapper, tuna, marlin or lobster come flavoured with Creole spices or hot pepper sauce, and served with fried plantain or breadfruit – the St Lucian alternative to crisps. Street food vendors know their popular conch fritters and salted cod fishcakes are at their best dipped in banana ketchup – St Lucia’s favourite condiment. What power plugs and sockets are used in St Lucia? St Lucia uses the same time of plugs and sockets found in the UK (Type G), and the voltage (220V) and frequency (50Hz) are the same as well.